Joined Hyde from Oldham Athletic. Before that he made his name with Barrow where he won an NPL championship medal and with Leigh RMI. 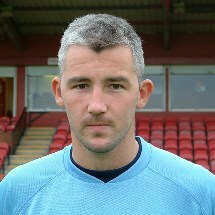 Part of Hyde's back to back championship winning sides, rejoined Barrow in June 2006.